I want to visit the Food Court. Do I have to pay admission? I want to purchase a pumpkin. Do I have to pay admission? Yes. We have plenty of off the road parking. You are welcome to take photos and/or video for personal use only, commercial photography requires written permission from Tweite’s Family Farm. 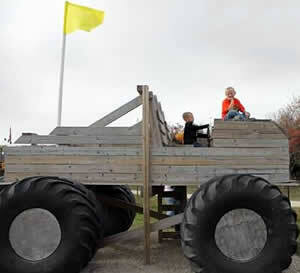 On occasion Tweite’s Family Farm will photograph or take video of guests for educational or promotional purposes. Entry to Tweite’s Family Farm grants permission for use of these images for any purpose without payment. Can I bring food or my pet to the farm? No. We do not allow pets, outside food or smoking past our front gate. We do have public picnic areas located in the parking lots under the pine trees. What should I bring for our visit to the farm? Yes. If one individual pays for 25 or more tickets, we will discount each admission ticket 10%. Please mention that you wish to receive the group discount to the ticket cashier. Excluding VIP Pass. 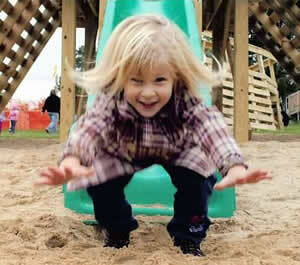 Can I send my children into the park and stay outside? No. 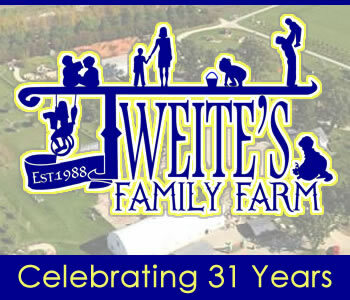 For the safety of all, an adult (18 years or older) must accompany children under 12 years old at all times while visiting Tweite’s Farm. We encourage families to experience the attractions together. Can I buy pumpkins and food without buying a Pass? Yes. 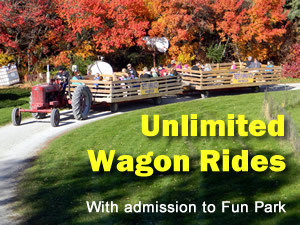 You may enter the pre-picked pumpkin sales area, our walk to pumpkin patch, and the Food Court without buying a pass. Refunds will not be issued. We advise you to check the weather before you visit and come prepared. 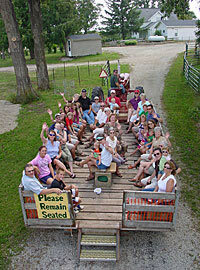 Tickets for return visits are only issued in the event the Farm must unexpectedly close. If you have any questions about how the weather has affected the conditions on the farm, please call 507-365-8035 or check our Facebook Page or website before you begin your journey to visit us. At times, current or previous weather conditions can make it difficult for us to open. Because nature is unpredictable and some activities are too dangerous to operate in certain weather conditions and/or due to mechanical, health, or other safety conditions, we reserve the right to withdraw any attractions without notice. What activities are not included in admission price? Pumpkins, gourds, squash, etc. : Range from $1.00 and up. Guest wishing to leave the Fun Park and return the same day must keep their wristband on and return the same day and show it on their arm for re-entry. What should I bring for my visit? Weather appropriate clothes and footwear, cash or credit/debit card, camera and your sense of adventure. 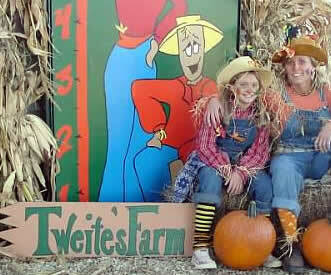 Want to enjoy Tweite’s Fun Park and Corn Maze? Add some food, Old McGeezer’s Golf, and return to come back and do it all again. The VIP PASS is for you. 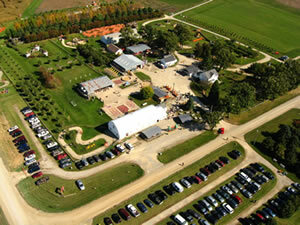 The corn maze spans over 12 acres! One of the biggest if not the biggest in the state. 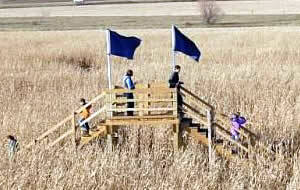 What age will most enjoy Tweite’s Corn Maze? 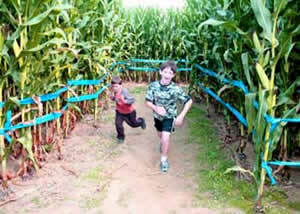 One of the great things about our corn maze is the fact that it offers something for everyone. From youngsters, all the way up to grandma and grandpa, our goal is to make sure everyone leaves with memories that will last a lifetime. How long does it take to get through the Corn Maze? Depending on you and or your group and if you play the entire game, it could range from 30 minutes to 2 hrs plus. Yes, 99% of all maze adventurers will surely get lost. It is where getting lost means finding fun. We have designed the maze to be an interactive activity that makes a trip inside the maze more than just a walk through the corn. At the beginning of your visit you will receive a game card (you will use it to find all the rubbing stations). If you get really lost you can always call the Maze Masters Hotline and someone will come and help you find your way out of the maze. It takes a lot of time and patience. Our particular process of making the maze is a trade secret, but we can tell you that we plant the whole field in May and then cut out the design when the corn plants are still fairly short. The design and theme is created on a computer and then transferred into the cornfield. Is the maze wheelchair friendly? Yes. Please call before visiting the maze for up to date maze conditions *But please remember that this is a real corn field and pathways are loose dirt. What should I bring for our visit to the corn maze? Make sure to wear comfy shoes (as they are required). Flip Flops are not recommended. What are the rules for the maze? Only walk on the trail provided to you. No running, the ground is uneven in places and you could be injured. Guest wishing to leave and return the same day must keep their wristband on and return the same day and show it on their arm for re-entry.